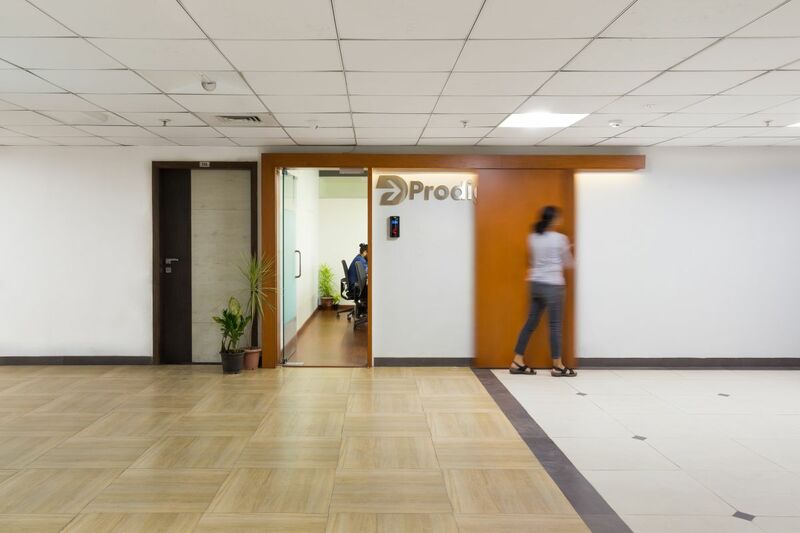 Interior Design for Prodigitas at Pune, by M+P Architects - ArchitectureLive! 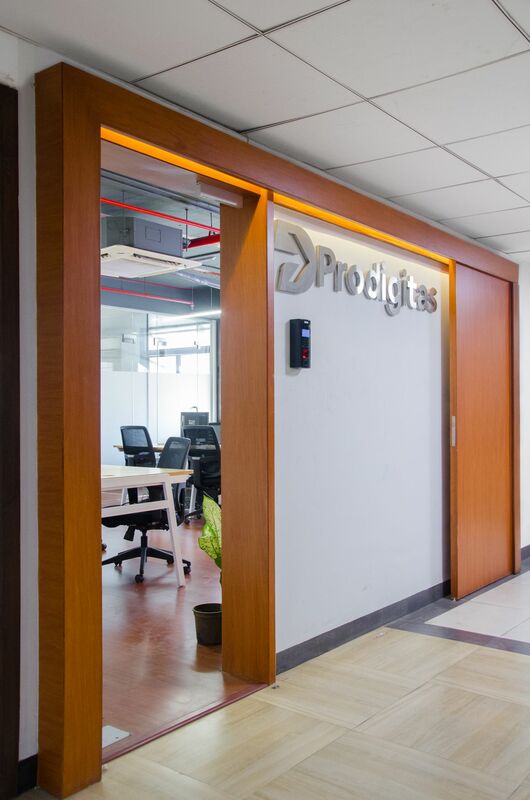 The clients approached us to design an office for their digital marketing company called Prodigitas India Pvt. 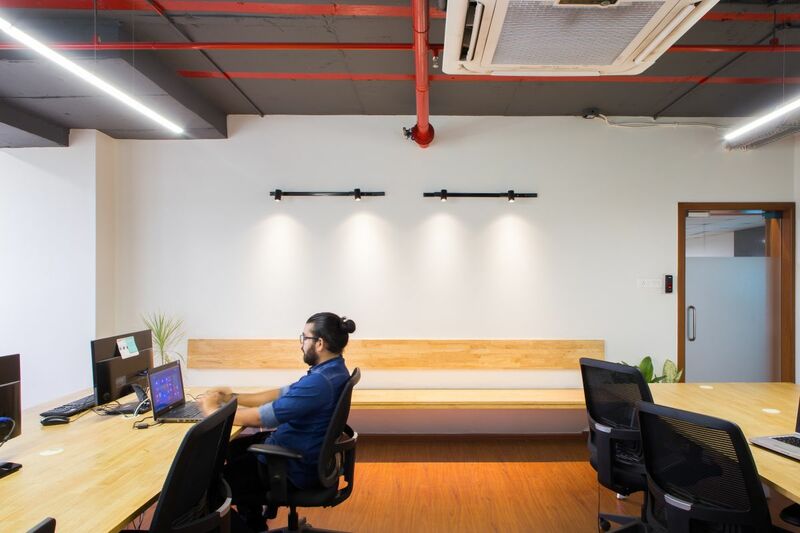 Ltd. Their requirement was to have a flexible space as their usage was not defined as cubicles, individual desktops, reception areas, or other such formal spaces. 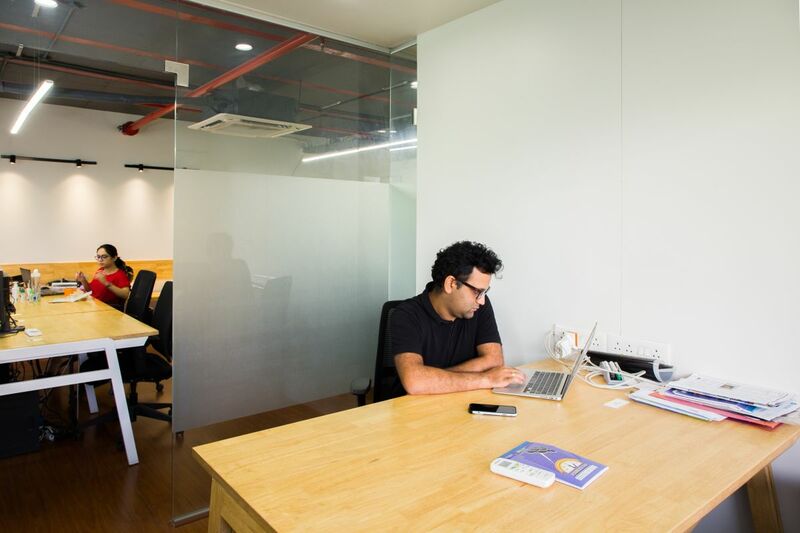 The nature of their work makes the office paperless and requires very little equipment to function. They wanted the office to be ready in a month. 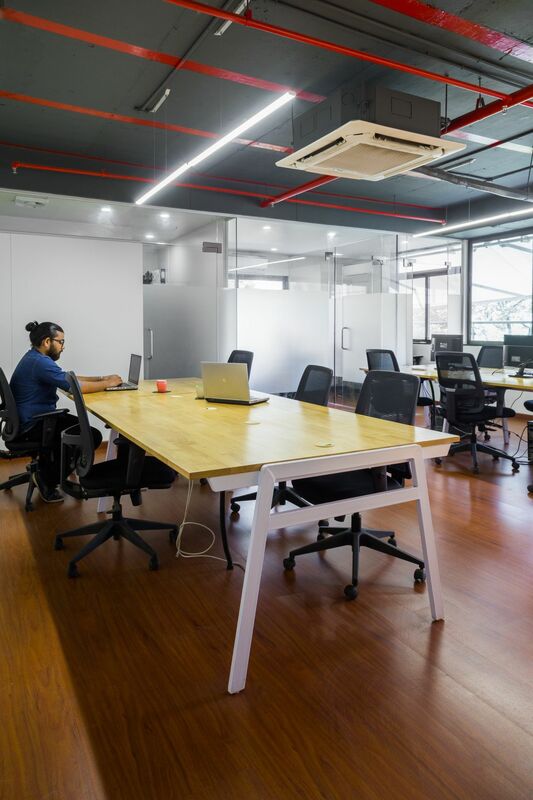 With such a brief, we kept divisions to a minimum and a third of the floor space as the common work area with two large work tables in MS supports and engineered wood sheets. 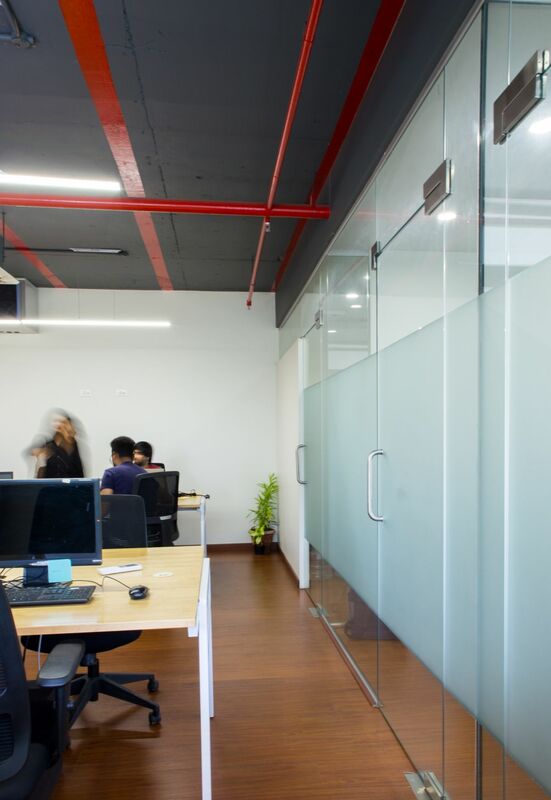 One cabin is used by the directors or as a common meeting room with the smallest soundproof cubicle being the calling space. The balcony overlooking some trees is used as a lunch and break space. Embellishments were kept to the minimum and we have tried to keep the design as a pure derivative of functional requirement. 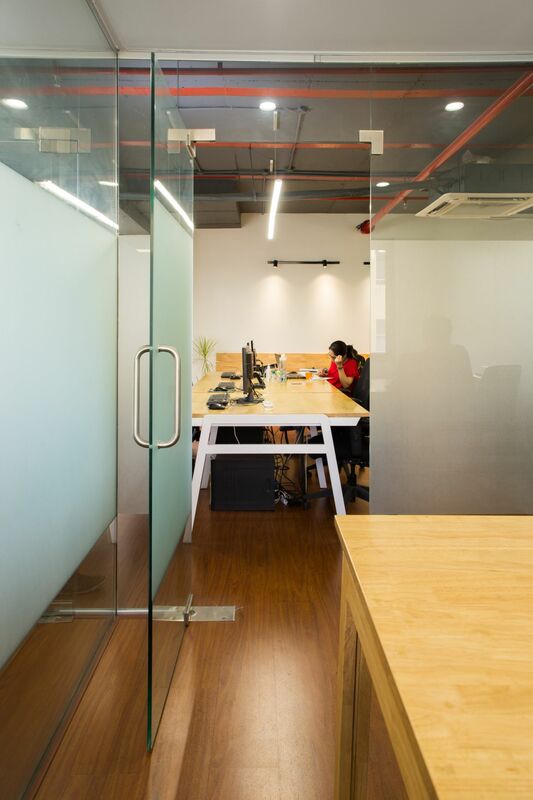 Instead of providing a false ceiling, the existing services are kept exposed to give some openness and proportion to the volume. 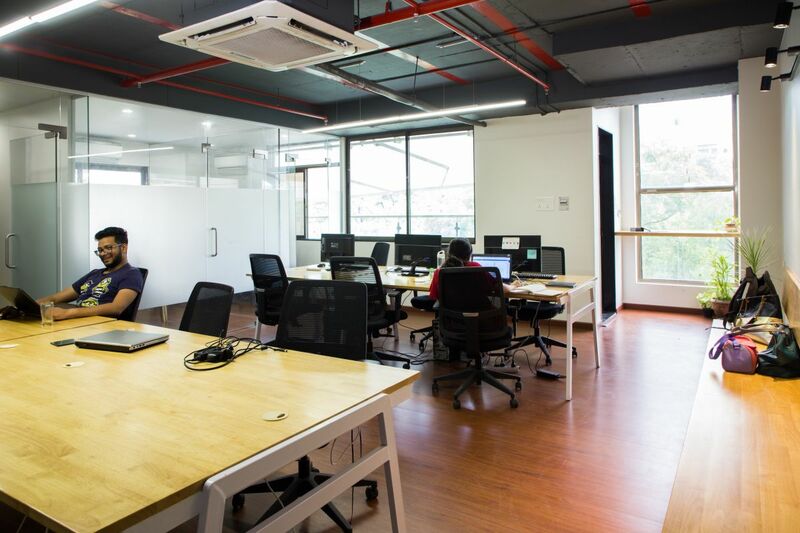 Air conditioning is only required during summer months and the office gets sufficient ventilation and is shaded from direct radiation because of the balcony. Laminated wood flooring was used for floor carpeting. 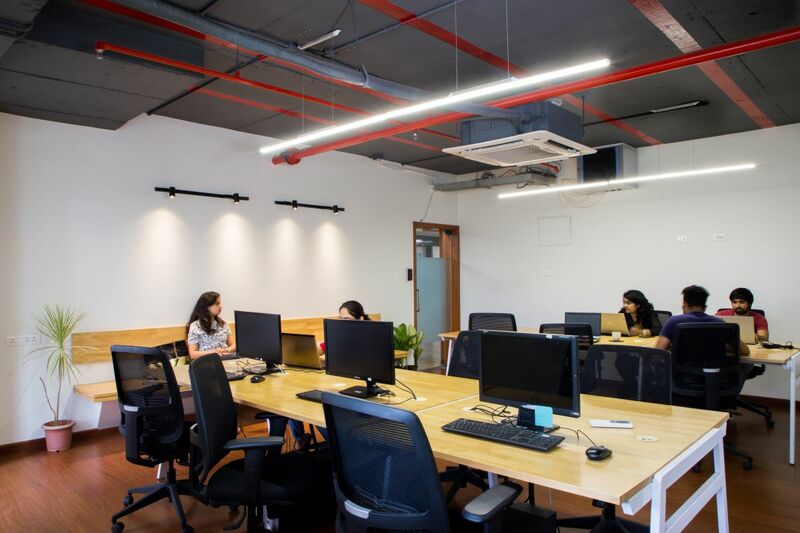 The space is designed to be naturally lit with minimum artificial lighting which may be required on dull cloudy days, like on the day these pictures were taken.